Lincoln Healthcare is a provider of quality care services reaching out to those members of the community who need additional support to enable them to remain independent while enjoying the comfort of their own homes. Our Homecare and Nursing services provide highly experienced Care/Support Workers from as little as 3 hours up to 24 hours per day. 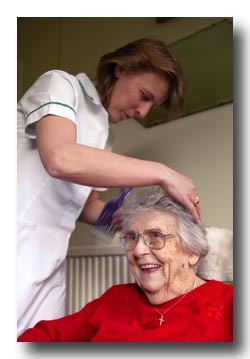 We provide a comprehensive and dedicated personal care service. As well as supporting people within their own homes, Lincoln Healthcare also provide supported Living and Residential services. If you live in an area which is not listed above it may still be possible for us to provide the care you need. Please contact our office for further information. Click here to read our excellent report from the Care Quality Commission.